In Aquaponics the nutrient wastes from the fish are used to fertilize hydroponics beds via irrigation water while the plant roots and associated bacteria remove fish waste, algae, and excess fish food from the water that would otherwise build up to toxic levels in the fish tank. 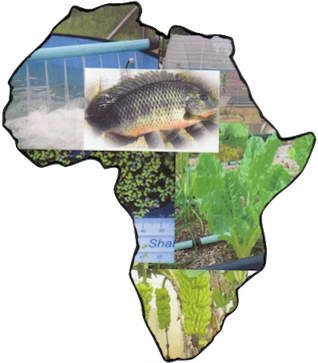 Aquaponics is the integration of aquaculture and hydroponics. Aquaculture, the growing of fish, hydroponics the growing of vegetables/plants in controlled conditions, utilizing specialized growing mediums and nutrients. 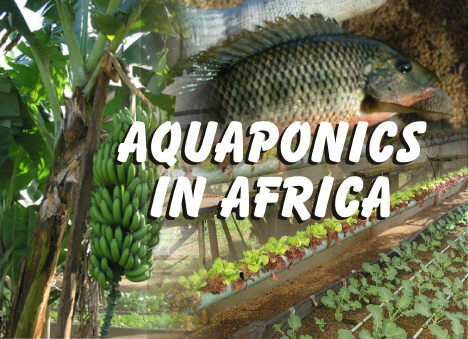 In Aquaponics the nutrient wastes from the fish are used to fertilize hydroponics beds via irrigation water while the plant roots and associated bacteria remove fish waste, algae, and excess fish food from the water that would otherwise build up to toxic levels in the fish tank. These nutrients serve as liquid fertilizer to the hydroponically grown plants. In turn the hydroponic beds function as a filter allowing clean water to be pumped back into the fish tanks under pressure and so providing aeration for the fish. Since the fish used are herbivorous their food can be grown as part of the system thus reducing costs and completing the natural cycle. Teach a man to fish and you feed him till stocks run out. Teach a man to grow fish and you feed him for a lifetime.